You are here: Home / Health / The Scary Facts About Tanning, Tanning Beds, and Skin Cancer! The Scary Facts About Tanning, Tanning Beds, and Skin Cancer! The International Agency for Research on Cancer rate indoor tanning devices as the highest cancer risk category (Group 1): “carcinogenic to humans.” Substances and exposures that can lead to cancer are called carcinogens. In Group1 is listed the most dangerous cancer-causing substances agents such as plutonium, cigarettes, and solar UV radiation. Tanning can be addictive!!!!! For some people, UV radiation can have a drug-like effect. And one person dies every 57 minutes from Melanoma, it accounts for less than two percent of skin cancer cases, but the vast majority of skin cancer deaths. 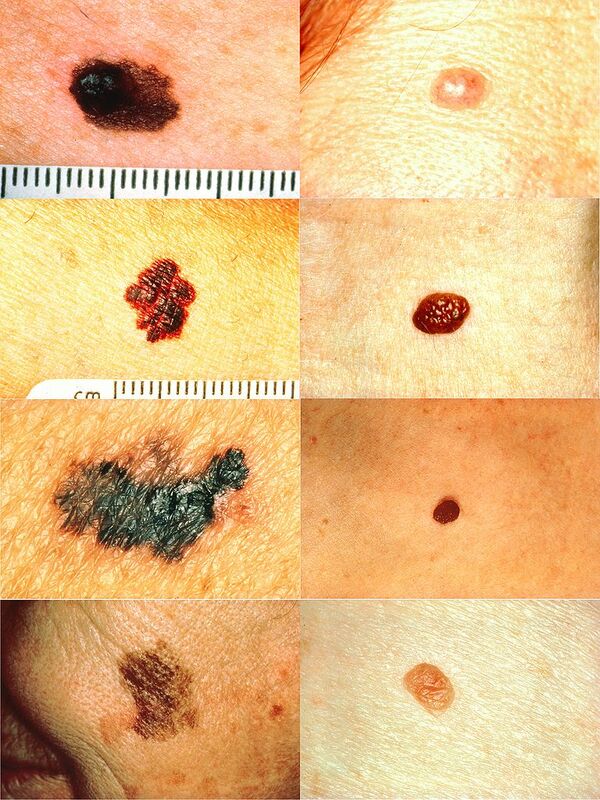 Of the seven most common cancers in the US, melanoma is the only were incidence climbed 1.9 percent annually. Treatment of nonmelanoma skin cancers increased by nearly 77 percent between 1992 and 2006. Tanning bed users are 2½ times more likely to be diagnosed with squamous cell carcinoma. Squamous cell carcinoma is the second most common form of skin cancer. An estimated 700,000 cases are diagnosed each year in the US. The incidence of squamous cell carcinoma has been rising, with increases up to 200 percent over the past three decades in the US. About 2 percent of squamous cell carcinoma patients – between 3,900 and 8,800 people – died from the disease in the US in 2012. Using tanning beds make you 1½ times more susceptible to basal cell carcinoma. Between 40 and 50 percent of Americans who live to age 65 will have either basal cell or Squamous cell carcinoma at least once. You pay a 10-percent tax every time you use a tanning bed in the United States. Skin cancer is the most common form of cancer in the United States. More than 3.5 million skin cancers in over two million people are diagnosed annually. Over the past three decades, more people have had skin cancer than all other cancers combined. One in five Americans will develop skin cancer in the course of a lifetime. Age-standardised death rates from Melanoma and other skin cancers by country (per 100,000 inhabitants). Regular daily use of a full or broad spectrum SPF 15 or higher sunscreen reduces the risk of developing squamous cell carcinoma by 40 percent and the risk of developing melanoma by 50 percent! « Ultraviolet Protection Factor (UPF), What is it? SunGuard a Detergent to Add Protection to Your Clothing!